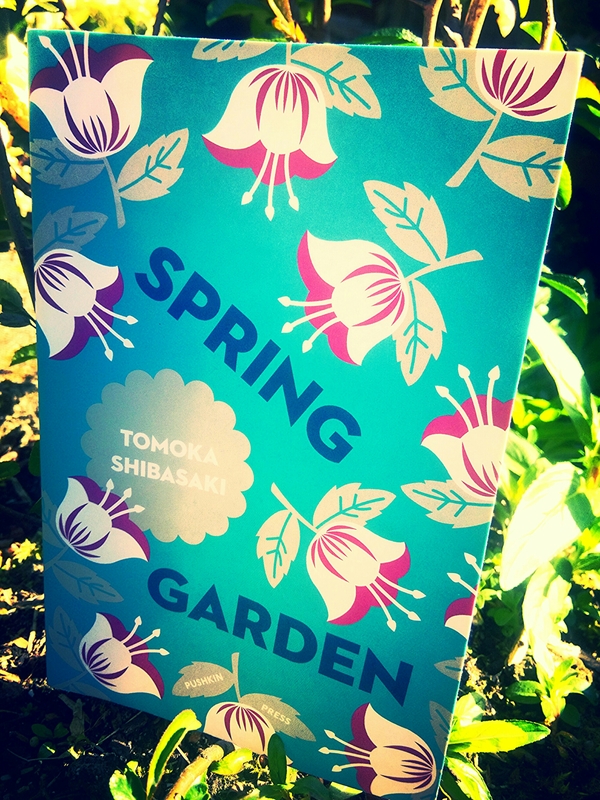 ​Tomoka Shibasaki’s Spring Garden is quietly a great many things, but primarily it appears to be a meditation of seasonality. Buildings are constructed in the spring, flourish in the summer, recede in the autumn and are knocked down in the winter to be rebuilt in the spring again. Their inhabitants follow a similar cycle. They are ingrained in the fabric of their surroundings – a house is a home to their soul and its changes that spiral around themselves like aged tree rings. We follow characters whose souls are threatened by impending destruction who are quietly longing for the life that comes with spring. Taro is a divorcee who lives in an apartment block that is scheduled for demolition. We get the feeling that he doesn’t seem to mind and has no great plans for when his tenancy runs out. As one of the few residents left, he has become something of a recluse but when he meets the vibrant, probing and kooky Nishi from an apartment upstairs he’s swept up in her obsession with a sky blue house visible from his window. Perhaps they are stuck in a down-season and their fascination with a famous house across the way is a sign of longing, of travellers whose wings have been clipped and looking for rejuvenation. Shibasaki’s prose has a gift for being short and precise but also open to interpretation. Few novellas feel like expansive. It’s all played in a minor, sombre key with details lying in the day to day activities and near blandness of normal lives. This author appears to be a descendant of Japan’s regal auteurs of restrained relationship cinema – more Ozu and Mizoguchi, less Kurosawa and Kobayashi. To read Spring Garden is like a meditation. It soothes and instigates conscious thought. It invites self reflection. The characters could well be vehicles for ourselves. As such it really is whatever you make it. So open these pages and open your mind – this is rewarding writing indeed. Spring Garden is available now via Pushkin Press who are releasing a collection of Japanese novellas, each with striking cover art. These are beautiful discoveries and I urge you to try them.